Our decision to use Amber Sound 107.2FM was a good one. Initially it was a punt because we liked the station and the costs were very low. The important thing for us was that the clients we got from the campaign were not short term they came back time and time again and still do. one client gained from the commercials can mean work for years ahead. We’ve expanded twice and have new expansion plans for 2012 and apart from a few flyers in the early days Amber Sound FM has been our only avenue of advertising. It certainly works. 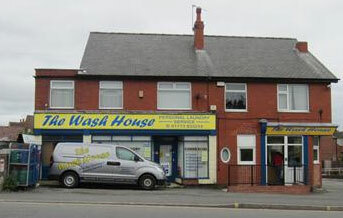 The Wash House Alfreton are a Dry Cleaners Laundrette.